I grew up most of my childhood in New England, in a few small towns located on the coast. 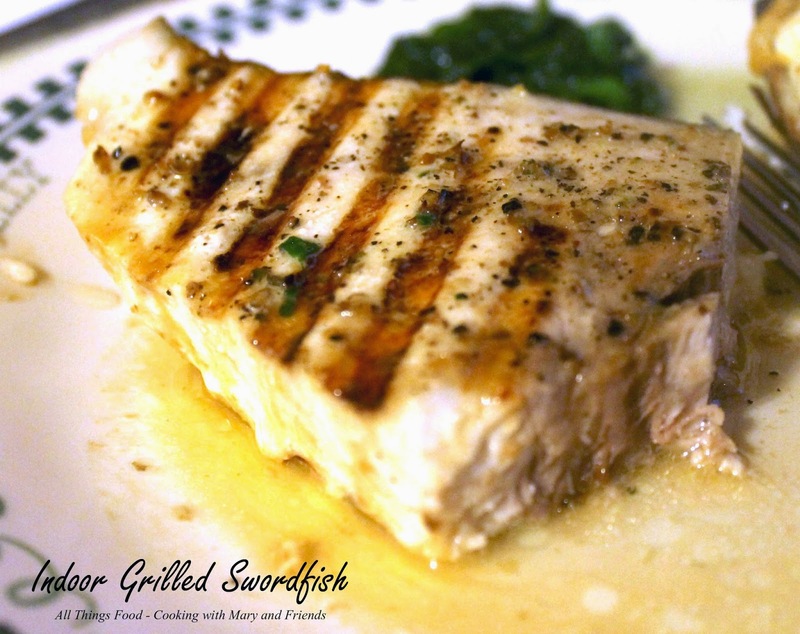 My dad would go down to one of the local fish markets several times per week, and depending on the season, or what was "fresh off the boat," bring home swordfish, cod, haddock, clams, quahogs, lobster and more. We had fish steamed or grilled, clams and quahogs steamed or in chowder, (my dad's clam chowder was amazing), baked-stuffed lobster and so many more fresh delicacies! I loved it all, with the exception of something my mom called "Finnan Haddie," which was dreadful to me. Do you know it? All I know is that was the only seafood I didn't like as a child, because I absolutely adored all the rest of it, and do to this day! 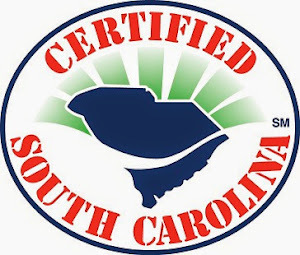 Recently a "new to me" seafood market opened locally, Off The Hook Seafood Market, and I'd been trying several times to check it out. Finally I went on a day they were open and it didn't disappoint at all. Fresh wild caught shrimp, sea scallops, sea bass, salmon and more awaited me, along with this awesome swordfish. I didn't hesitate one minute, but bought it and brought it home. 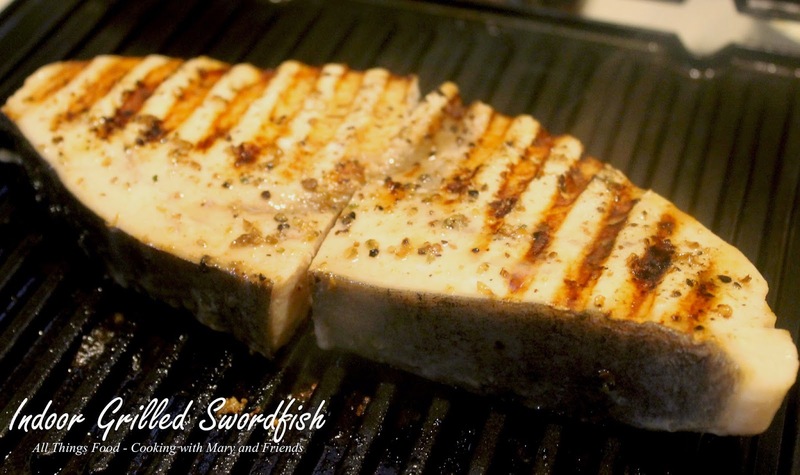 Rub hot grill grate with a thick slice of fresh lemon, reserving the remainder to squeeze over swordfish. Sprinkle swordfish with course-ground black pepper and squeeze fresh lemon juice over top.Grill on direct medium-high heat approx. 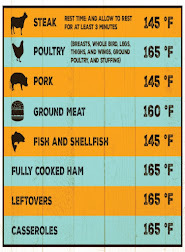 7 minutes per side, or until swordfish is cooked through and flaky. 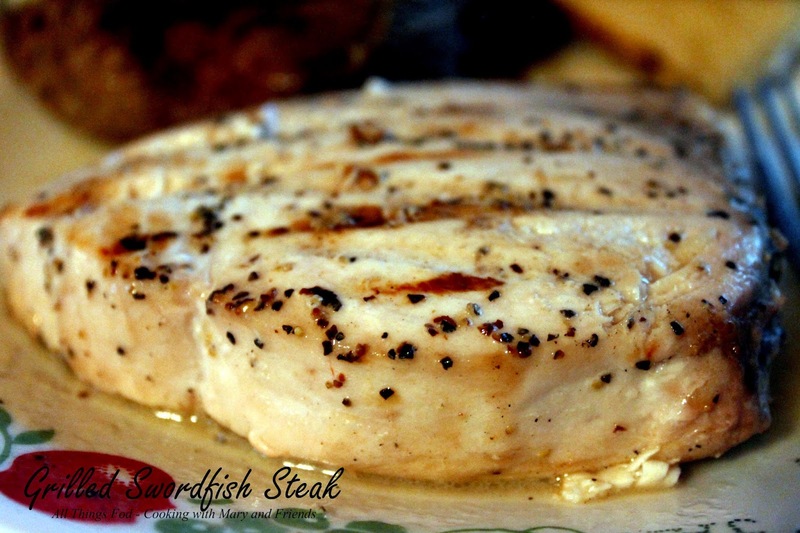 Remove from grill and top swordfish with 1 tbls. butter and let it melt in. Serve immediately.